CREATE A STORY WITH YOUR ARTWORK. YOUR PET’S STORY. A Posh Pets Boutique™ Session is at the core of your experience with us. 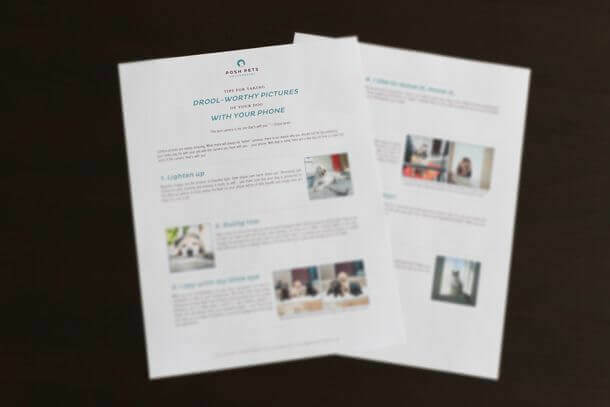 The happy result is that you will have beautiful images of your pet to select from in order to decorate the walls of your home, your office, and your cottage. However, for most clients, it is difficult to leave it at that. 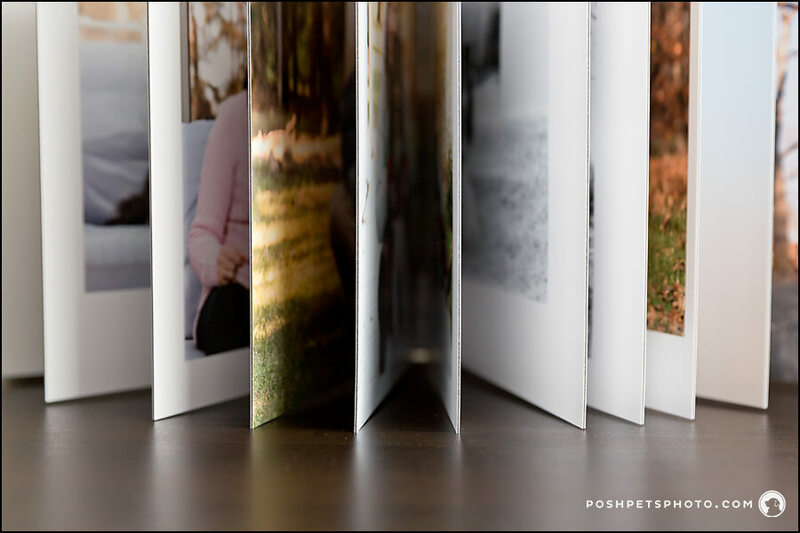 In fact, we at Posh Pets® Photography consider it a job well done if you have a hard time narrowing down your choices and simply want to take them all! That is when a Posh Pets® Session Album may be just the product you want. 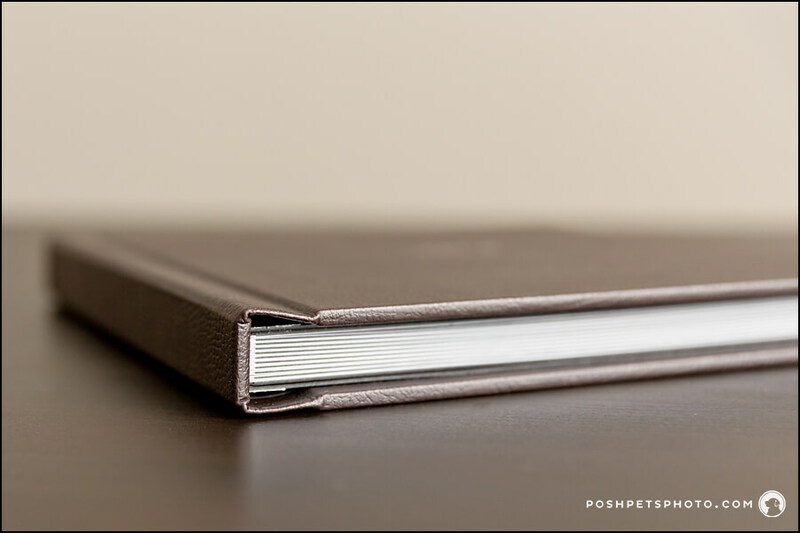 A Posh Pets® Session Album is beautiful and is a part of our line of art products – the beauty is in how they celebrate the life of your beloved cat or dog! 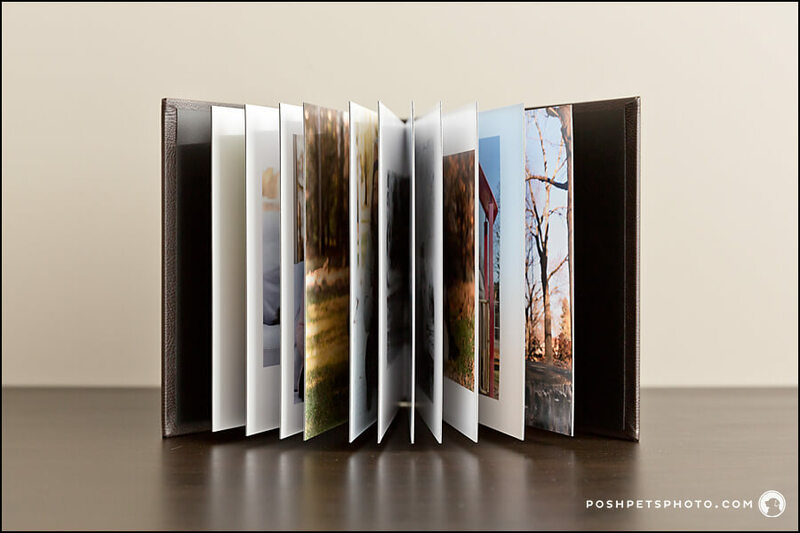 Unlike having everyone sitting around a computer screen looking at digital images, a Session Album is a much more elegant way to share the Posh Pets Experience™ with others. 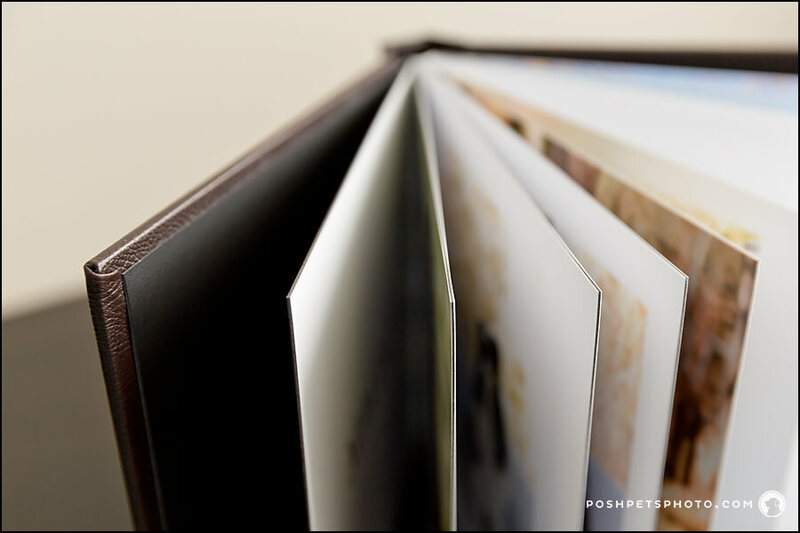 Such a story deserves to be honoured, and with our beautifully designed flush mount albums, you will have 18 carefully chosen images that you can enjoy over and over again. A work of art with the images in all of their stunning beauty! 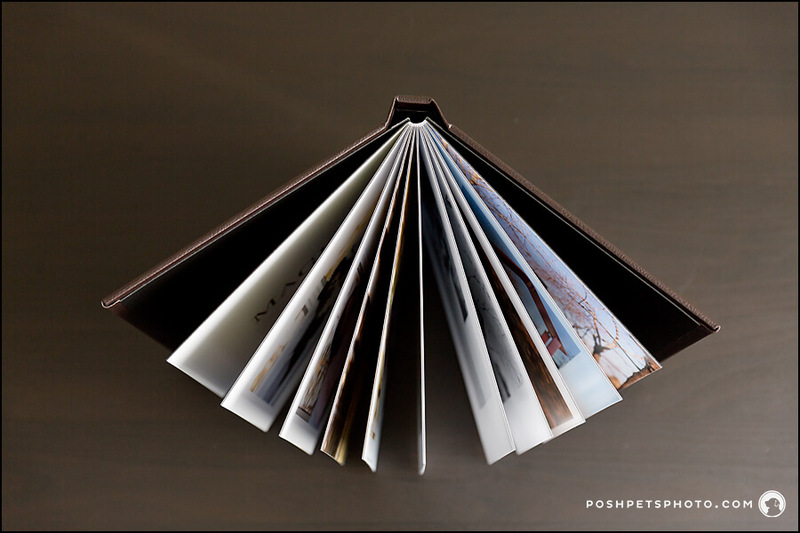 The flush mount albums feature thick pages with no middle gutter. 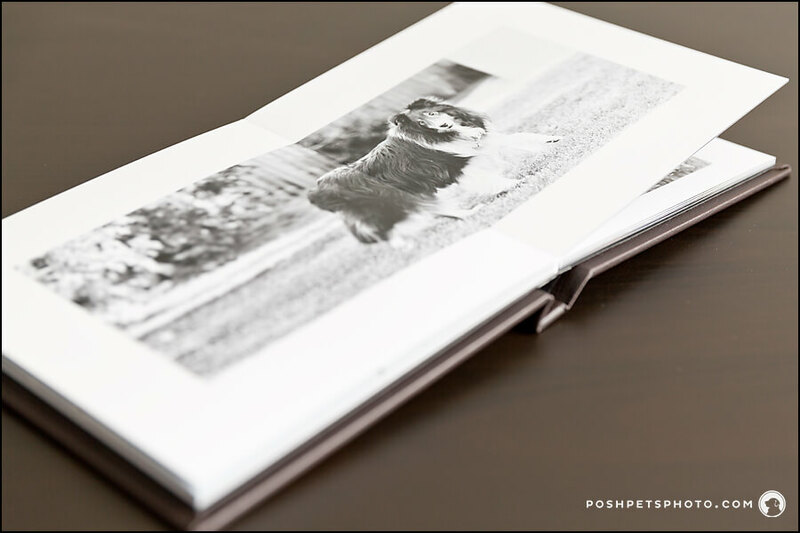 A Session Album is included in one of the Posh Pets® Collections and is designed to complement the images chosen to decorate your walls. 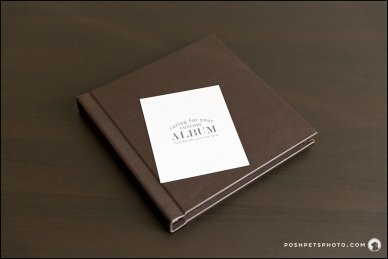 We love to see the look on our clients’ faces when we present them with their custom designed Session Album, knowing that they will enjoy these treasured images for years to come!